*This is entirely my personal interpretation of the animated motion picture, Inside Out. Every once in a while, there comes a movie that pushes us to think and interpret our own life’s happenings. A movie need not necessarily impart any wisdom or give some food for thought, but as a powerful medium, they do have an influence on the way we look at things. We can safely say that our characters are not only shaped by the real lives around us and our interactions with people, but also by those fictional characters that appear for a definite time on the silver screen, but stay with us indefinitely. Such quotes taught us a lot and sculpted us to make us who we are today, either directly or indirectly, whether we accept it or not. Now, let’s talk about the much awaited, Pixar and Disney’s new brainchild, Inside Out. This is a really simple movie, just like every other animated movie from these studios, but only this time, did they talk about a lot of important issues. This is not about what makes it a good or a bad movie and not about why you should watch it. It is something we need to talk about. What makes a human being a human or in fact a living being alive? Well, our emotions and our ability to communicate. All of us have emotions and therefore feelings, yes, even the most insensitive ones do too. Every emotion is as important as the rest, nothing more and nothing less. Joy, Sadness, Disgust, Fear and Anger, these are the vital emotions that decide our course of life. Really, they do. And they are also the subjects of this latest movie. Imagine this, what if, one day, all of a sudden you don’t have happiness anymore in your life? Nothing you do gives you a satisfactory feeling. Now, this would leave you with four other emotions. The moment we don’t find joy in anything we do, our entire life turns gloomy, doesn’t it? Well, this is Depression. It may be due to the tiring and relentless career pursuits, underperformance, enervating lifestyles and something unimaginable too. This has been a global phenomenon now. Anyone can be a victim, be it a celebrity or a countryside farmer. 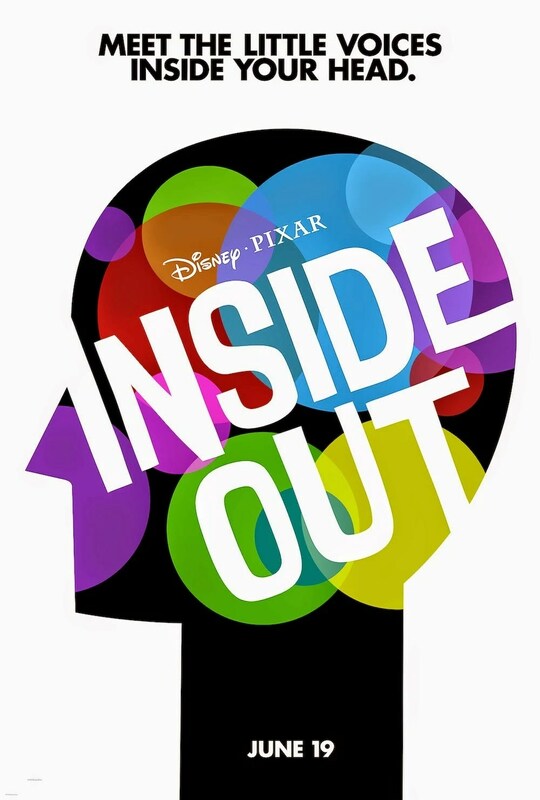 Inside Out, talks about this exact horrendous phase that one might be going through. And the best way to get out of it is to talk it out and seek help. If we let it be, it would sprout many terrifying ideas and most of them are life-threatening. This is something we ought to talk about. Right now, at this moment, one of your closest or even you might be suffering from this dreadful depression. I bet you wouldn’t wish it upon your most hated enemies. When you think you know someone is suffering from depression, do take it seriously and talk to them. It is better late than never and a recovering friend is better than a friend living in your memories. There are helplines around the world that will help them, but we need to take the steps to bring your old friend back. All it needs is you to make your inside out. We don’t want depression to be another plague, killing people from the inside. To all those battling depression, just remember that you are not alone and you have people who are willing to help you. Life is not about just a single emotion. What makes a feeling complete is a mixture of emotions. Fear and joy, Anger and sadness, they may be very different and be out of context, but they have no meaning without each other. You wouldn’t know the value of light until you experience darkness. What makes joy that it is, is not joy, but sadness. A subtle philosophy, fading memories, addressing a burning issue, a journey through your childhood memories, the bond with your loved ones, the jealousy of your best friend making new friends, this is what a movie can make you feel and may be you’d find your life in it too. Christopher Nolan is undoubtedly one of the greatest directors in the history of cinema. He has been an inspiration to many, in fact me too. His fine works are visible all over, but his true genius comes out when he utilises the concepts from his previous movies. Interstellar feels like a sister movie for Inception, but it is amazing in its own way. These cleverly crafted movies make me feel like watching them over and over again. It is not only Christopher, but also his brother Jonathan Nolan, who deserves equal credit for his amazing writing skills. Thank you, Nolan brothers for all these movies. There are a lot of similar ideas between Inception and Interstellar, here are a few I noticed. This is just an attempt to show how beautifully these ideas are embedded into these two vibrantly different movies. Gravity has been the centre element for Christopher Nolan in both his epics. Inception: The use of Gravity as a kick to get people out of the dreams is as good as anything can get. It is pretty common to all of us, at least the ones who dream frequently, to experience the sudden jerks and jumps in bed in the middle of a dream. Interstellar: In his latest space adventure, he used Gravity as a medium to communicate with our world from future. It is a great thought, if we accept his creative liberty. Of course, the planetary sling shot, the giant waves etc., also show this usage. Time is the core concept in both these films. The only difference is that time works exactly in opposite ways in both of them. Inception: Our dreams usually feel really long. You would have experienced a long stretch of time in a dream during a few hours of sleep. Inception strictly follows this rule. Here, 5 minutes in real world = 1 hour in the dream. Time runs slower in our dreams. Interstellar: The strong gravitational pull of the black hole causes the time dilation. On Dr. Miller’s planet, 1 hour = 7 hours on earth. Time runs faster on our planet, due to weaker gravitational pull of the sun compared to Gargantua. We do know that Christopher Nolan loves leaving hints here and there throughout the movie. If we carefully observe, he gives us enough food for thought through riddles and poems. Beware, they are highly interpretable. Inception: This riddle kept me thinking about a lot of things. a train that will take you far away. but you don't know for sure. Interstellar: This is a poem, but I would like to think of this as a riddle. It talks a lot about the Interstellar travel and the venture into the Black hole. The mention and interpretation of “THEY” are the points to notice. Well, Love has always found its way into Nolan’s movies. Memento, Inception, The Dark Knight Trilogy and now Interstellar. It has always played an important role in the storyline. Well, to keep it short, Memento and Batman had their own love stories running through the movie, as you all already know. Inception: Cobb’s love for his wife is clearly an important point in the movie. His blind love for her and of course, guilt as he calls it, handicaps him to let her go from his memories. She turns out to be the one that sabotages most of his plans. Interstellar: Murph’s relationship with her father, Cooper is one of the most beautiful portrayal of father-daughter love on the silver screen. And this time, Nolan pushed it a bit further with Dr. Brand’s love for Dr. Edmund. It can be seen in her advice to go to Edmund’s planet instead of Dr. Mann’s. Both the movies have this deep similarity between them, a father who wants to get back home to his children. Inception: The only thing Cobb is bothered about in the whole movie is to get back to his children and look at their faces for real. He does everything and puts his life at risk to get back home. Yes, that’s the underline of the story. Interstellar: Cooper’s promise to get back to his daughter and his decisions during the interstellar travel talk about his desperation to get back to his family. Except for the end, when he gives up as he had no other choice left. Christopher Nolan is famous for his endings, undoubtedly. Every time, his movie comes out, the crowd talks about nothing else other than his movie and the ending. Yes, the endings leave us enough thoughts to ponder over and these are the kind of cliff hangers that make his movies unique. Inception: As Cobb returns home, but decides to check if it was reality he spins the totem. Now, the best part is when the movie ends with the totem spinning continuously but also wobbling once in a while. Well, I have my own theory of why I think that he’s still dreaming, but I would like to leave it here for you to think of what would have happened. This is what Nolan wants, according to his interviews. Interstellar: The much talked about “THEY”, the five-dimensional beings and the creative visualisation of time as a dimension that is accessible has been the most talked about debate for the past two weeks. The events that take place after Cooper falls into the event horizon, his recovery near Saturn etc., have been the points of interest. Well, a lot of people don’t agree with these things and playing around with time, but we ought to give it to the creativity of Nolan brothers in bringing out such a script, while still getting most of the science right for a Sci-Fi movie. We know that water is the one thing that humanity really needs and it is the first thing that we search for on different planets, but Christopher Nolan loves it more than any of us does. He loves it so much that his team makes special water based effects and embed them into the movie. Of course, the other form of water also finds its place somehow. Inception: The slow-motion water effects and the sprinkles of water at different point of the movie talk for themselves. The final act when the Van takes a free fall into the water and the rain in the first level of the dream. Not to forget the third stage of the dream when they get into gunfire and fights etc., in some ice covered mountain range. Interstellar: The Giant waves on Dr. Miller’s planet and an important character’s death because of those waves defines a major part of the movie using time dilation. Dr. Mann’s planet has nothing but ice(may be frozen ammonia, not sure) and Ammonia. Sleep is important for everyone. This natural rejuvenation process of life forms usually is of some importance in Nolan’s movies. These movies are pretty much different in the way they induce sleep. Inception: The sleep induced here is due to the usage of sedatives, in fact strong sedatives. The sedatives are so strong that the person killed in the dream before the effect of the drug wears out happens to be pushed into further dream stages called “Limbo”, a vast empty subconscious. Interstellar: Cryo-sleep is a pretty familiar concept in the field of space travel. Interstellar uses this concept to help their astronauts save their years of life. In simple terms, this is a sort of hibernation for humans. Oh, not to forget this man, Michael Caine, who consistently made an appearance in all the previous movies of Christopher Nolan. A Nolan movie without Caine is incomplete. Be it Interstellar or Inception or The Dark Knight or The Prestige. Inception: Michael Caine plays a college professor Dr. Stephen Miles and also father-in-law of Dominick Cobb (Leonardo). Interstellar: This time he came back as Professor Brand, who is the key scientist for the Interstellar travel. Mankind’s next step, will be our greatest. A view on what this country means to me and what I learn from this multi-lingual cultural hub of the country, Delhi, every single day. Through the eyes of a Metro Traveller. On the eve of the 68th Independence day, here is an account of what I see everyday and learn travelling in a Metro. Read my first try at blogging. This is about those nostalgic school days we have all been through.